Let Them Entertain You – March Edition! Updated – Late March and Beyond! The musicians and actors who’ve worked with Boston Rock Opera are a busy and talented bunch! Here’s a list of some of the plays, concerts and events where you can see them performing this spring. The Revelations Gospel Brunch featuring three BRO powerhouse voices; Erica Mantone, Jennifer D’Angora, and Andrea Gillis, are at Atwood’s, 877 Cambridge St, Cambridge, Sunday, March 5th, 11:30 – 2:00. (This monthly residency continues on the first Sunday of each month). Kameelah Benjamin-Fuller’s Big Birthday Bash (featuring Alchemilla, Jen Kearney, Cruel Miracle, Bigfoot, Kameelah & Not to Touch the Earth, Pete Cassani, Scott Damgaard w/Ben Knight) is Sunday, March 5 at 8pm, Great Scott, 1222 Commonwealth Ave, Allston. Also catch G-Rock Goddess Kameelah Benjamin-Fuller and Scott Fleming (Old Berger, HAIR) at Melissa’s, 407 Main, Stoneham on Saturday, March 11. Joe Turner & the Seven Levels and Body English (featuring Clinton Degan) will be at the Lilypad on March 11th. Joe Turner (projections, HAIR, The Point!) is moving to the UK so it will be JT&7L’s farewell show. Mask-maker and Body Artist Extraordinaire Eric Bornstein (HAIR headdresses/body art) is stage-managing the Resident Evil Escape Experience. This unique escape game experience is themed around the popular survival horror series. If you go, you might interact with Andy LeBlanc (Woof, HAIR) who appears in the game. “This is an event for those who like problem-solving, puzzles, and word games, all done in cool, creepy rooms.” Through March 19th. Theophile Victoria (HAIR) will be appearing in The Massasoit Theatre Company production of A Raisin in the Sun Thursday-Saturday, March 9, 10 and 11 at 8:00pm. 1 Massasoit Blvd, Brockton, Massachusetts 02302. Jenny Dee & The Deelinquents (Jennifer D’Angora) are busy this spring. See them March 3 with The Upper Crust at the Spotlight Tavern in Beverly, and at Atwoods on March 11th. 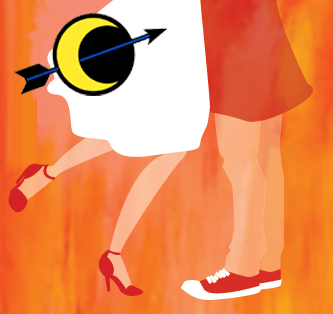 Andy LeBlanc (Woof, HAIR) will be playing Mercutio in the Cape Ann Shakespeare Troupe production of Romeo and Juliet, March 9-18 at the Gorton Theatre, home of the Gloucester Stage Company. Heather Meeker Greene’s (HAIR) band Madam Bruja play an all ages show at the Midway on March 19th with Valaska, Sorry, and Toxic Rainbows. 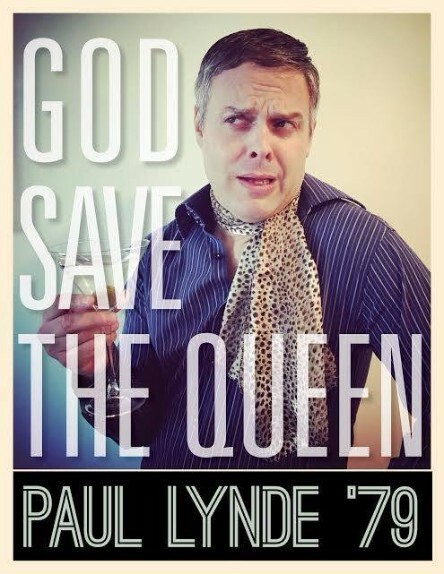 On March 24 and 25th frequent BRO performer Gene Dante channels Paul Lynde in God Save the Queen – Paul Lynde ’79 “You’ll Laugh, You’ll Cry, You’ll Spill Your Martini!” Get your tickets beforeit sells out! The Cult of Point Break Society featuring Richard Adkins, Greg Campagna, Briana Chalker, Leesa Coyne, Eric Donohue, Jonathan Donaldson, Joel Edinberg, Chuck Ferreira, Sara Honeywell, Dave Lieb, Peter Malagodi, Erica Mantone, Colin Metz, Eric Ortiz, Jay Raffi and Ken Rothman perform a series of shows dedicated to the Music of Steely Dan. Benefit for the ALCU and Planned Parenthood. Night One is Saturday, March 25 at Thunder Road. Night 2 is March 31st; all ages at The Lilypad. Destiny Claymore (HAIR) will be touring the East Coast with Darkmatter this April. Catch this amazing talent if you can! Details: Facebook Page. Website. The Revelations Gospel Brunch featuring three BRO powerhouse voices; Erica Mantone, Jennifer D’Angora, and Andrea Gillis, are at Atwood’s, 877 Cambridge St, Cambridge, Sunday, April 2nd, 11:30 – 2:00. (This monthly residency continues on the first Sunday of each month). Jude Torres (Walter, HAIR) will be appearing in Moonstruck Theater Company‘s production of West Side Story playing the role of Riff. April 7-9, 2017. Amanda White Birthday Show! with the James Rocket. Saturday, April 15 at 10 PM, the Lilypad, Inman Square. 1353 Cambridge St, Cambridge, Massachusetts 02139. Rare Boston appearance by Amanda’s NYC based band.